Margaret Alston received her MA in Glass and Ceramics in 1985 from the Royal College of Art. Her research into the techniques, history and origins of Pâte de Verre had begun as an undergraduate in 1980 with the aim of combining the expressive qualities of clay and glass to make tiles and small bowl forms. She experimented with fine glass pastes exploring a range of different glasses, ways of colouring them, types of moulds, firings and working methods establishing her own personal approach, which continues to be refined in the creation of her subtle, translucent vessels with their emphasis on the unique material nature of pâte de verre itself. 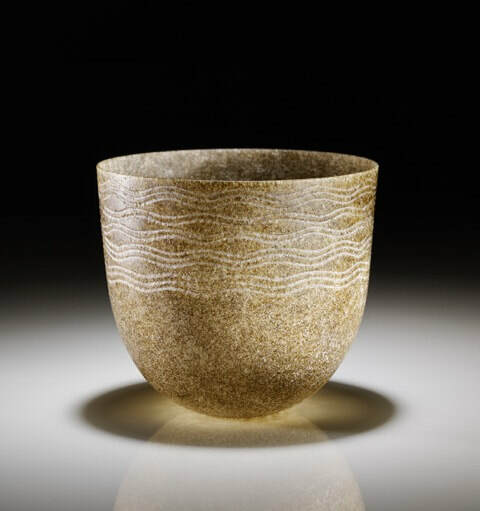 Margaret has exhibited extensively in the UK and internationally and her work is represented in many significant public and private collections in Great Britain, Europe and the USA.